Our team at their morning briefing a couple of weeks ago while helping with Hurricane Florence cleanup. Our crews rolled in September 18 ready to help cleanup after Hurricane Florence. 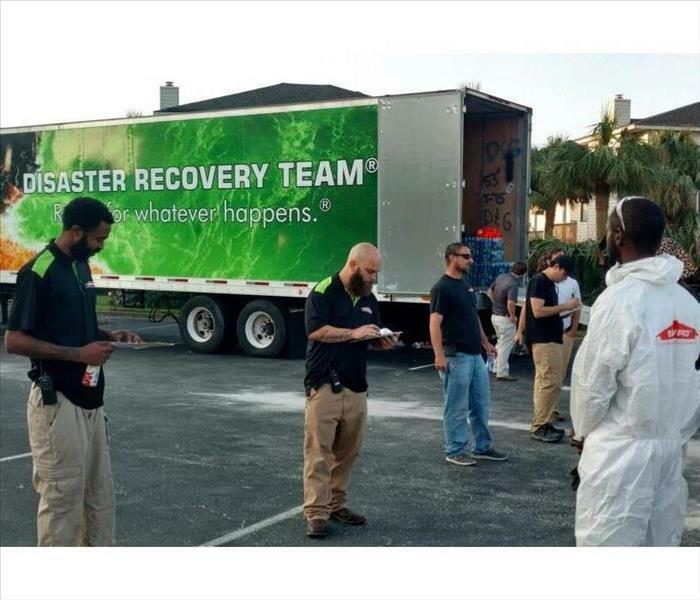 When disaster strikes, SERVPRO of Carrollton is there to help. 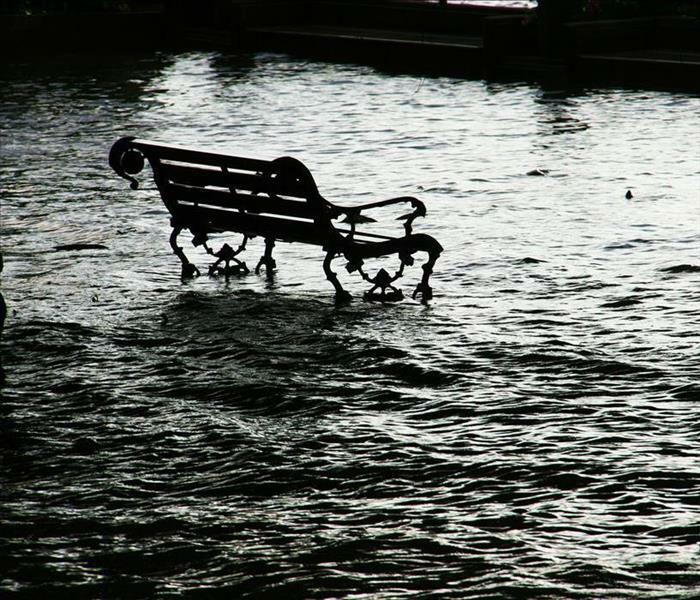 50% of businesses don't reopen following a unforeseen disaster. Don't become a statistic. Call SERVPRO of Carrollton and ask us about an Emergency Ready Profile for your business. 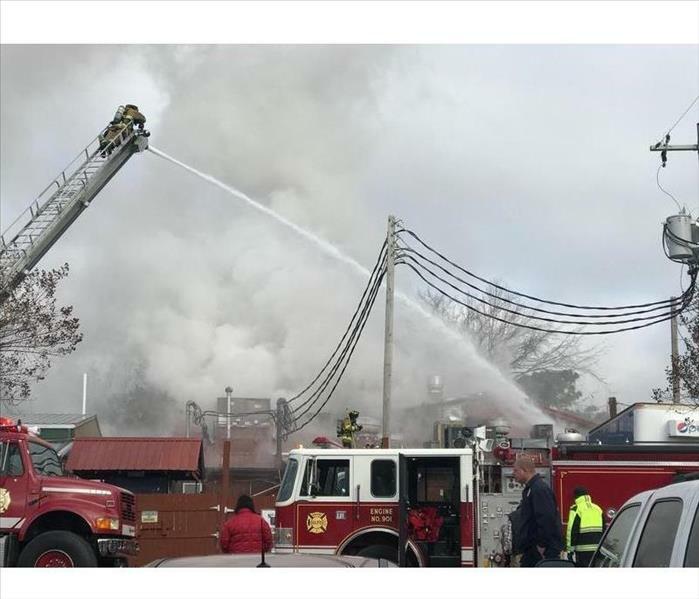 When fire ravages your business, let SERVPRO of Carrollton get you back up and running in as little time as possible. Out team of experts will help make it "Like it never even happened." 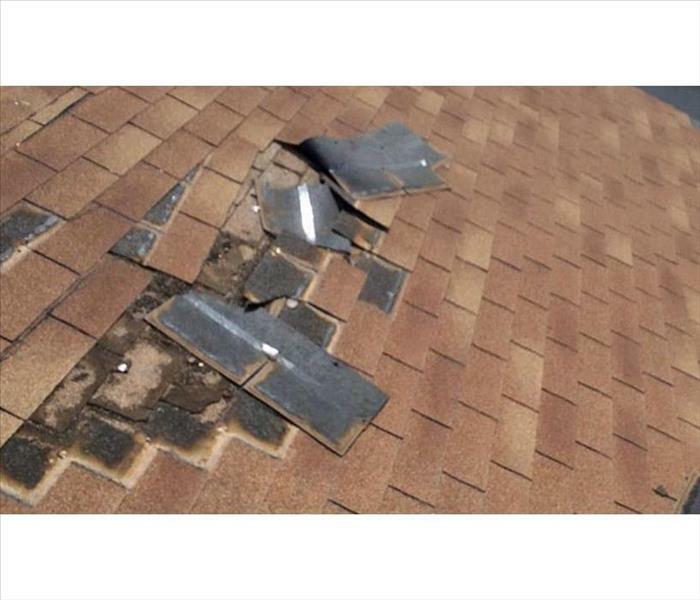 When stormy weather loosens or removes shingles from your roof, trust SERVPRO of Carrollton to tarp and repair your roof. This will help prevent any further damage to happen inside your home. Call SERVPRO of Carrollton at 770-258-7557. 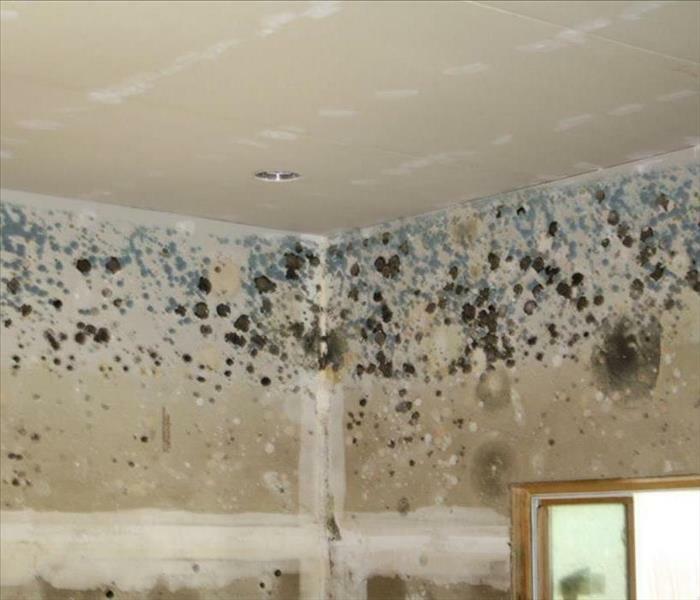 SERVPRO of Carrollton is your local expert for residential and commercial mold remediation. 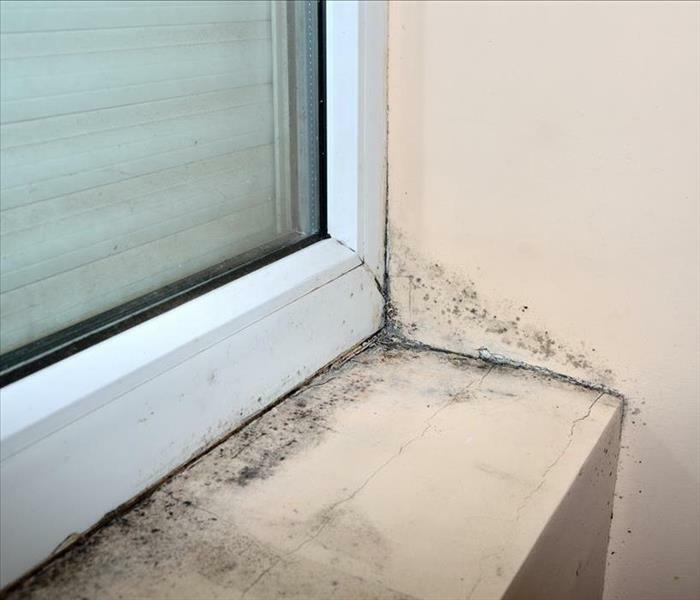 We use the following steps to make sure that your home or business is restored following the discovery of mold. 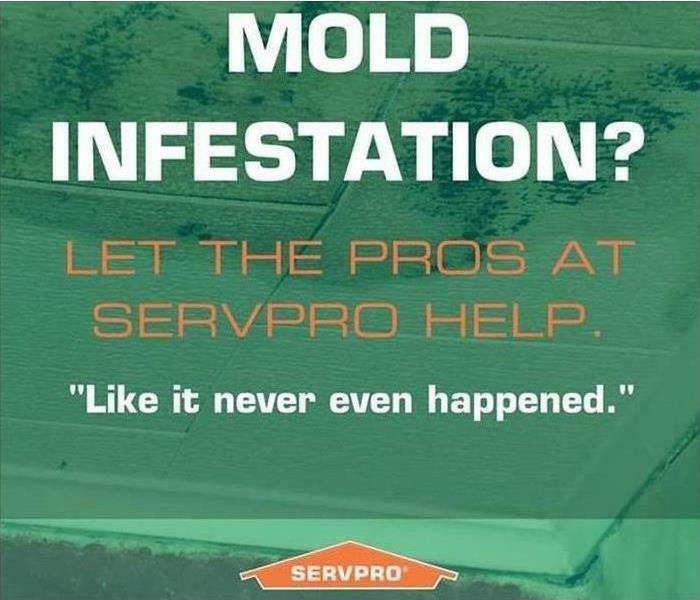 Trust the professionals at SERVPRO of Carrollton with the removal of mold in your home or business. 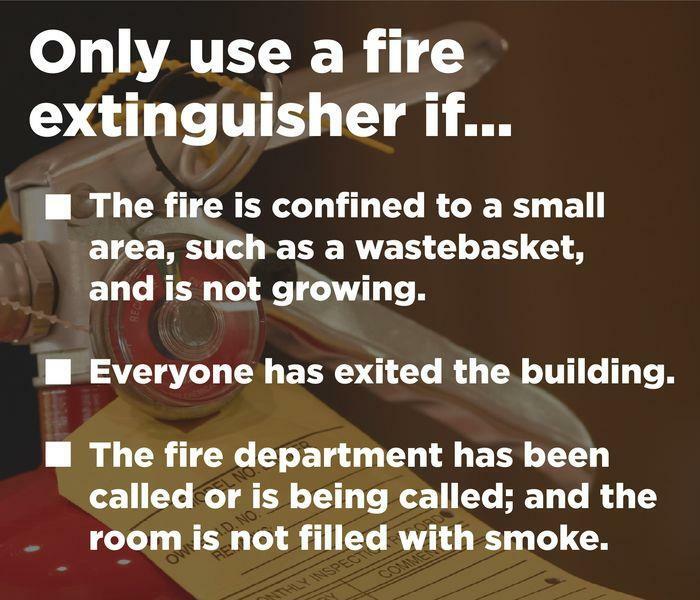 Fire extinguishers are a great tool to have to keep small fires from becoming big fires. However, they should only be used in certain instances, as illustrated in this photo. 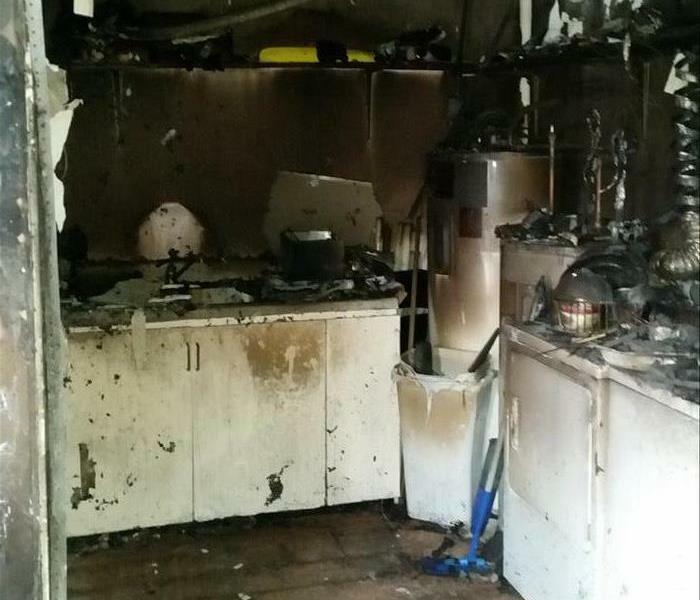 Should you find yourself in a situation where fire damage has occurred, disrupting your daily life, trust the restoration experts at SERVPRO of Carrollton to make it "Like it never even happened." Fires are devastating on many levels. Let SERVPRO of Carrollton step in and take some of the stress off of you. 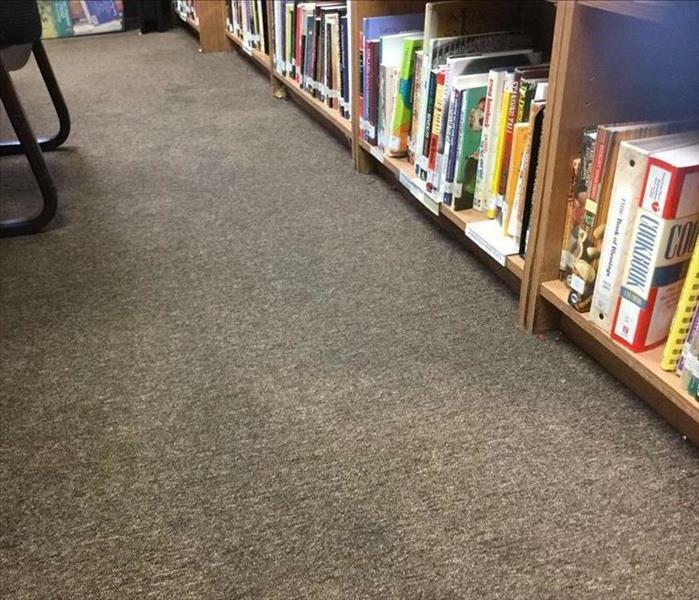 Our team of experts can clean, deodorize, and restore even some of the most seemingly hopeless causes. 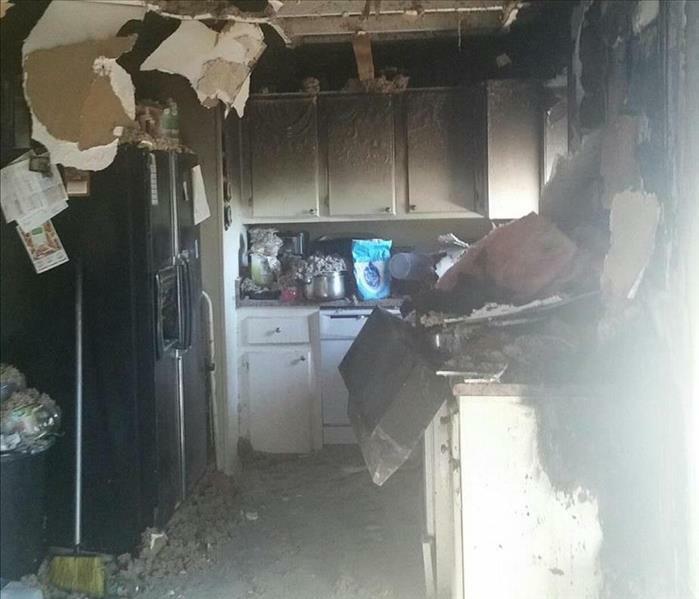 Call us today and let us restore your home or business following a fire. A clogged sink can be one of two things: a small inconvenience or a major problem. 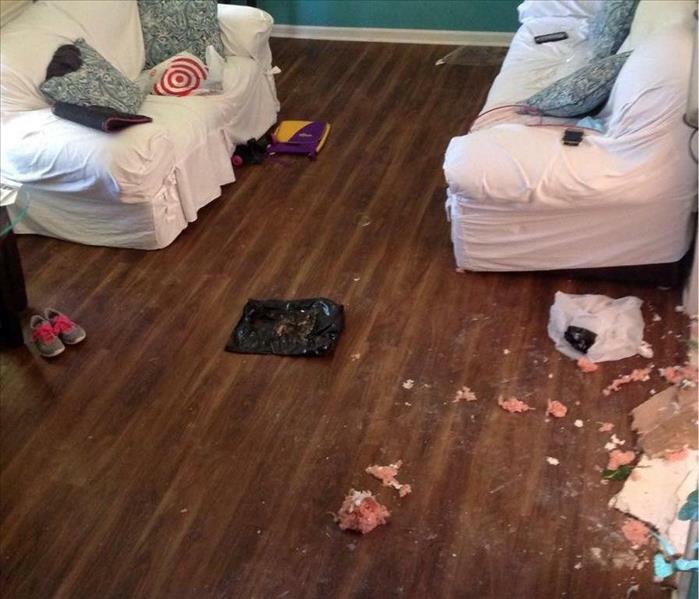 SERVPRO of Carrollton received a call from a homeowner regarding his lake house. They'd just arrived to open the house for the summer and found that vandals had broken in, clogged all the sinks with rags, and left the water running. By the time the homeowners arrived water was running out of the house and had affected all 3 levels. Should you ever find yourself in this situation, call SERVPRO of Carrollton at 770-258-7557 and let us restore your summer vacation. 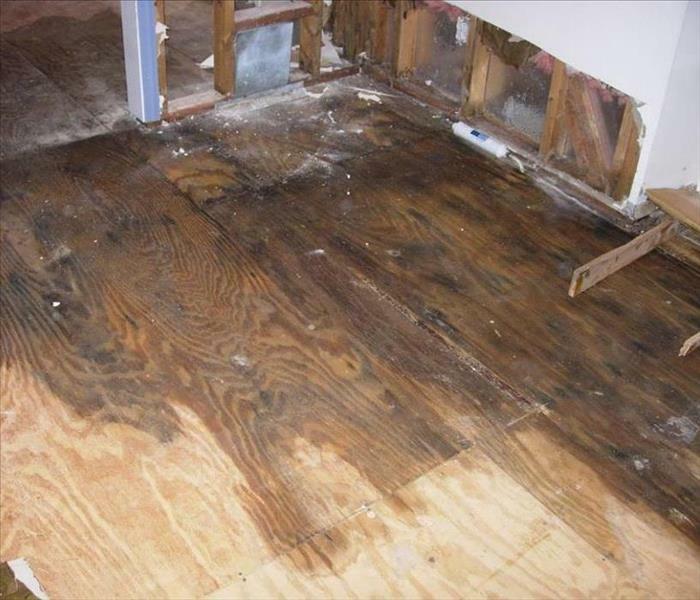 Water damage can happen quickly and cause more damage than you realize. 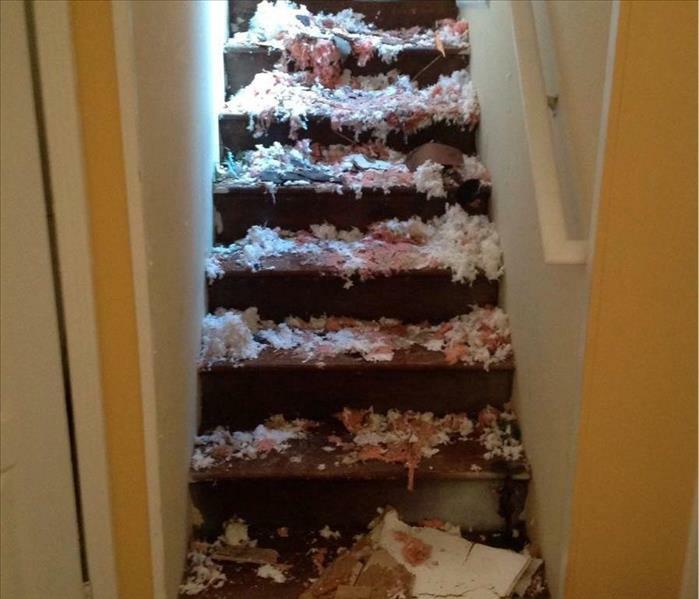 Within minutes it can penetrate walls, baseboards, cabinets, and floors. 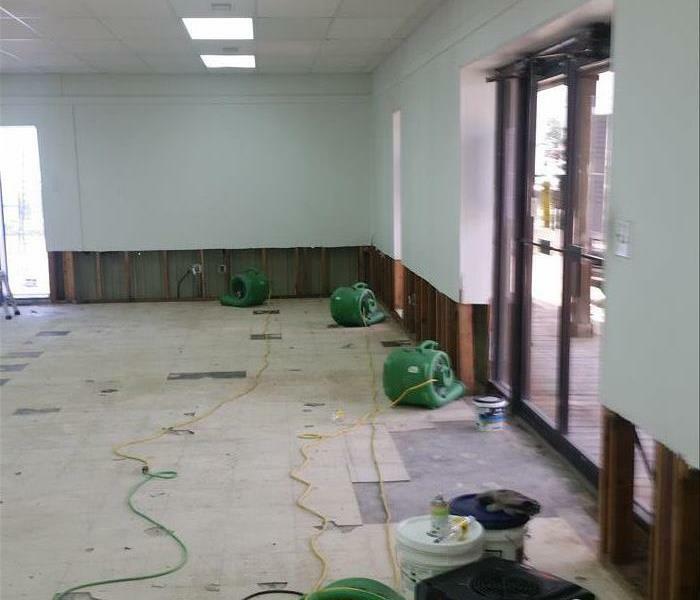 In this photo, you see where SERVPRO of Carrollton removed the flooring and the subfloor was already saturated. 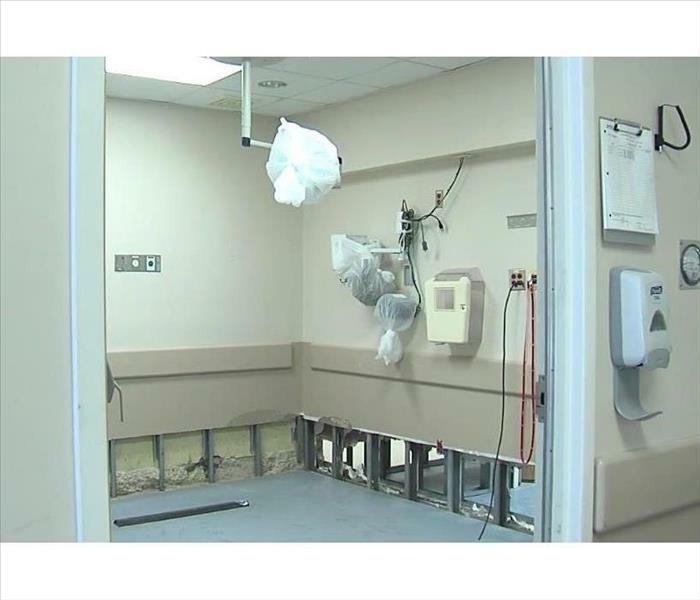 They also performed what is called a "flood cut" to remove any affected drywall and aid in the drying process. Falling trees and homes don't mix. They cause distress for you as the homeowner because you are now displaced out of your home. SERVPRO of Carrollton is your go to for tree removal and tarping services. Let us get your home secured and ready for the next stage of restoration. Call us today - 770-258-7557. SERVPRO of Carrollton is your mold remediation expert. Should you find microbial growth in your home or business, call SERVPRO of Carrollton at 770-258-7557. We'll make it "Like it never even happened." 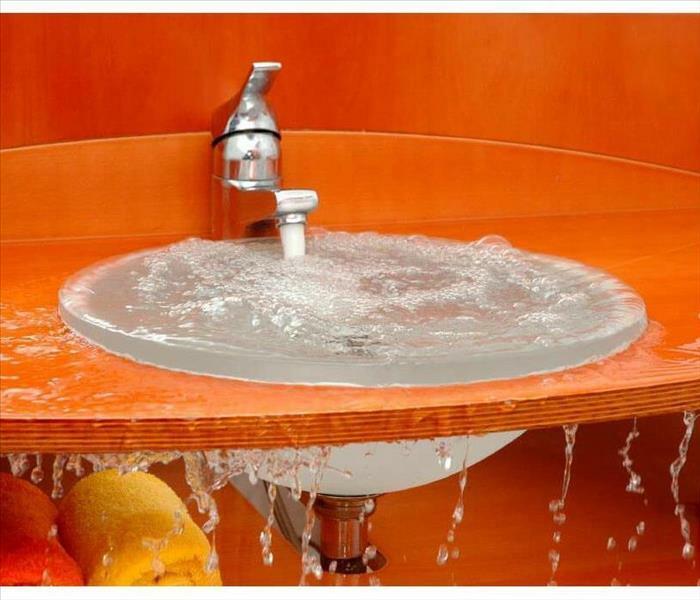 Water damage occurs in homes, businesses, and places of worship alike. 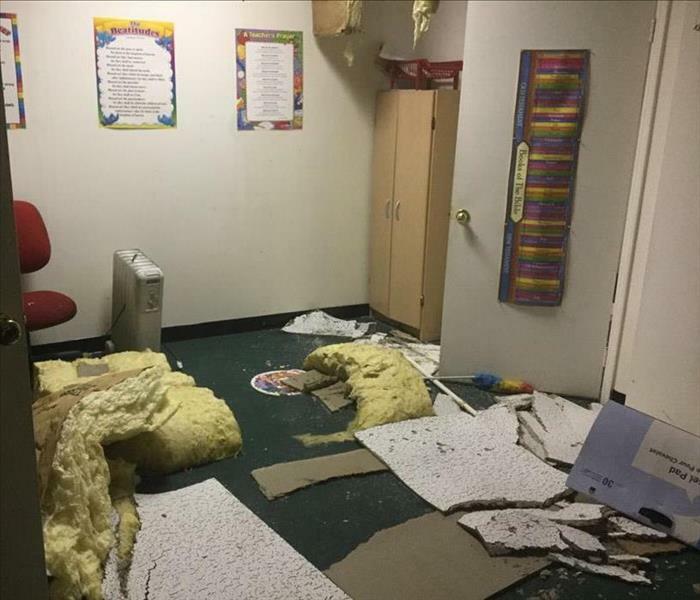 This church had a burst water pipe that flooded their sanctuary. 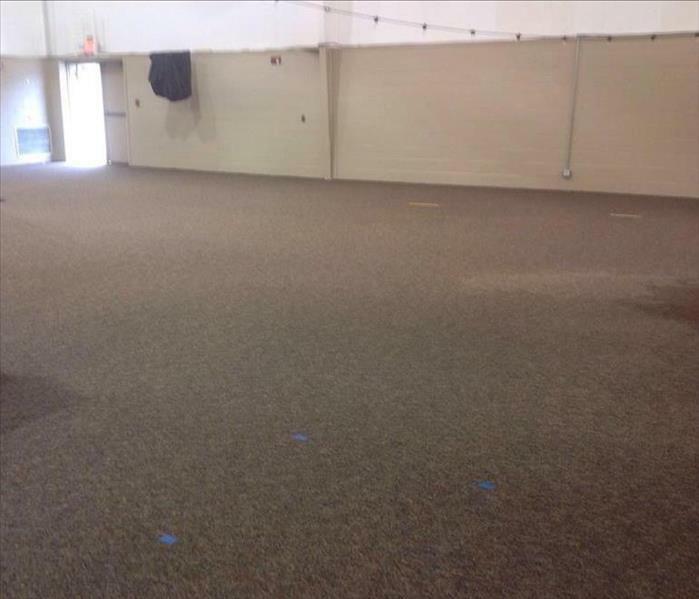 SERVPRO of Carrollton was able to get them dried out and ready for worship. 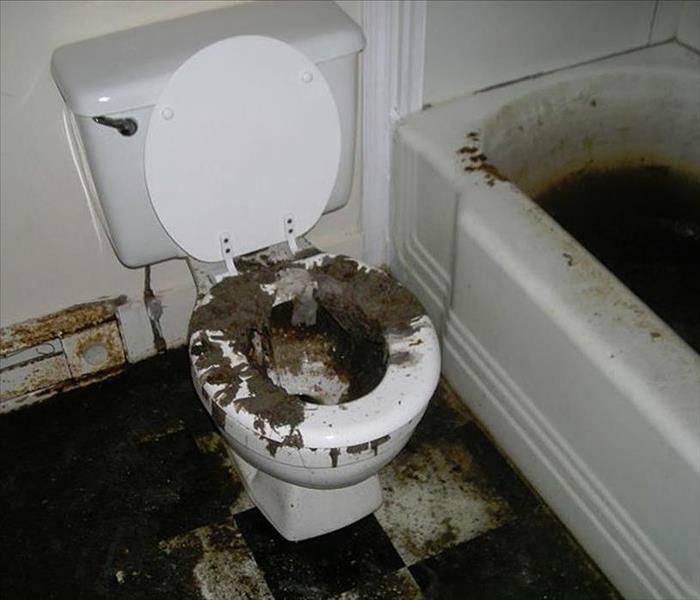 Sewage backups create big messes. Whether caused by septic mishaps or city water works, SERVPRO of Carrollton is your team of experts who can clean up the biggest messes and get your home or business back in working order. Storms have their own timetable and often it’s not the same as yours. SERVPRO of Carrollton is standing by to turn your upside down world right side up again. Call us today – 770-258-7557. 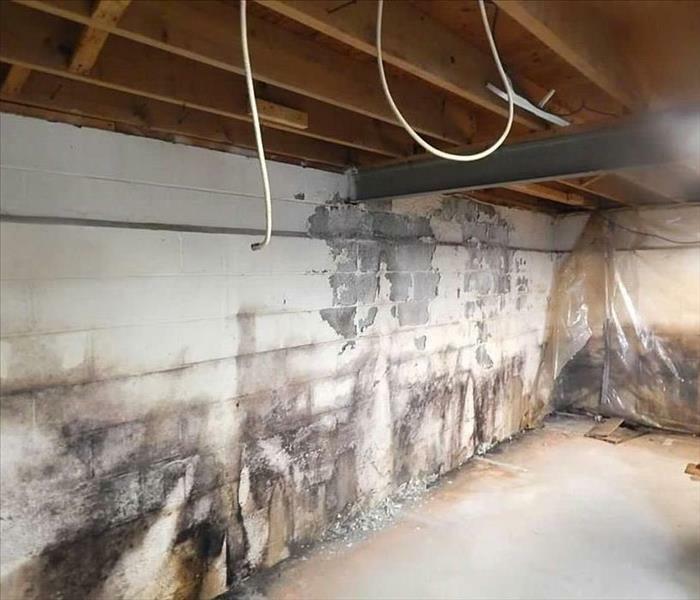 Basements are prime breeding ground for mold, especially those that aren’t climate controlled. 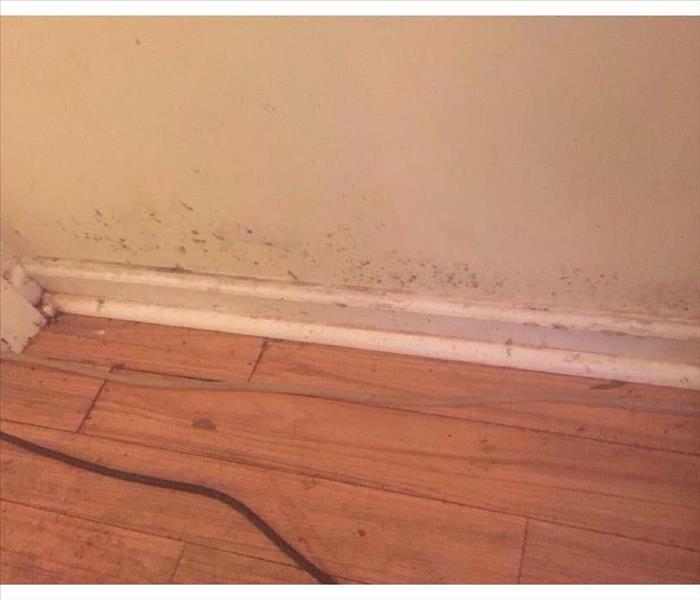 Mold thrives in warm, wet areas. If you suspect mold in your basement, call SERVPRO of Carrollton at 770-258-7557 to help you remove it. 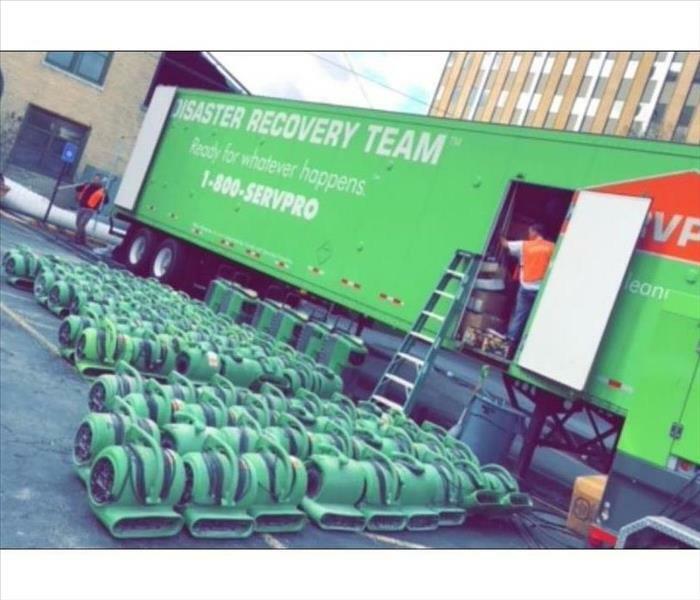 When your commercial property has water, fire, mold, or storm damage, SERVPRO of Carrollton is waiting with a sea of green to make it "Like it never even happened." Call us today - 770-258-7557. Medical facilities, such as hospitals, doctors’ offices, urgent cares, etc., have mitigation emergencies just like other businesses. These facilities need to be operational as quickly as possible to ensure they are available to help the population get the treatments needed. The professionals at SERVPRO of Carrollton are prepared to rush in and save the day. We are trained and certified to take the proper care in working quickly and efficiently to guarantee as little down time as possible following a water or fire loss. 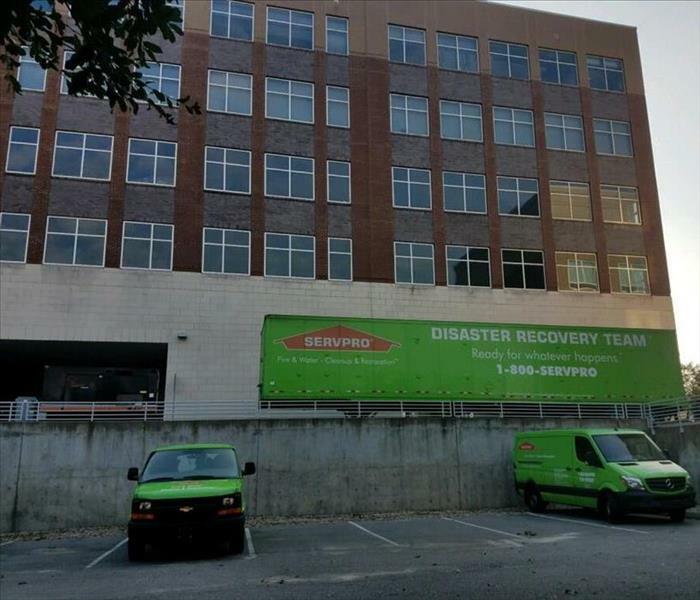 Let SERVPRO of Carrollton make your facility “Like it never even happened.” Call us today – 770-258-7557. 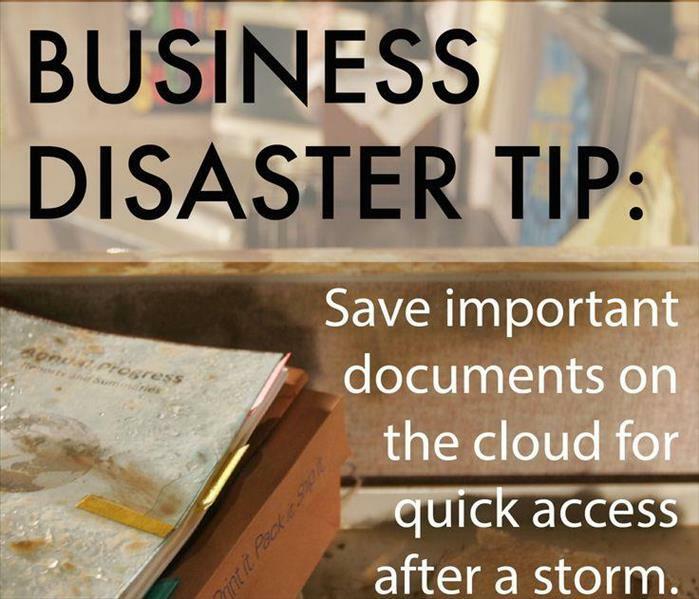 50% of businesses won’t reopen following a disaster. This is a sad but true statistic that could be reduced by having a reputable restoration company on speed dial. 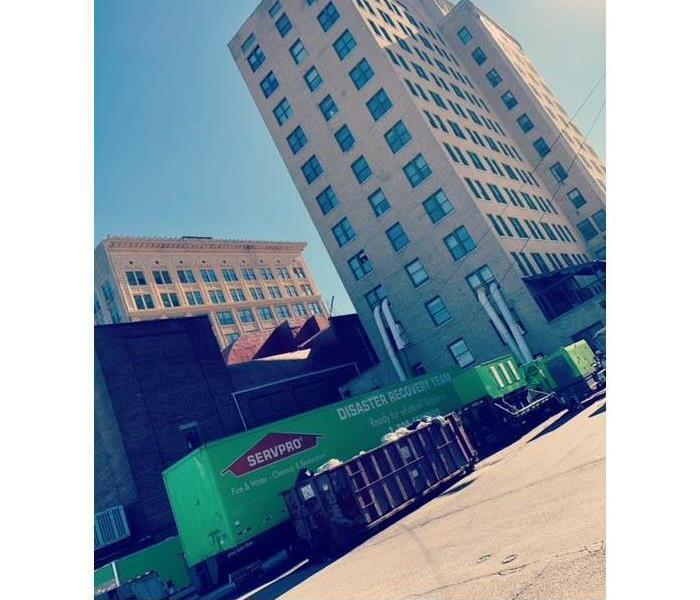 SERVPRO of Carrollton is ready 24/7 to make it “Like it never even happened.” Call us today at 770-258-7557. 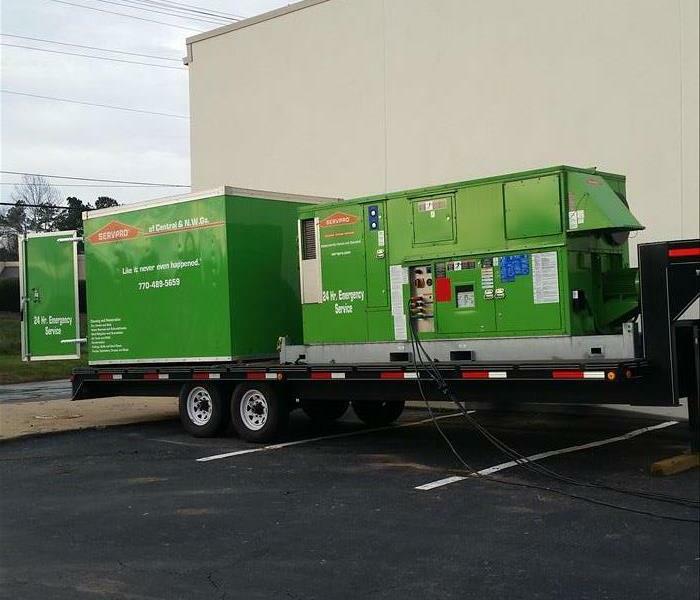 SERVPRO of Carrollton is your expert in fire restoration. 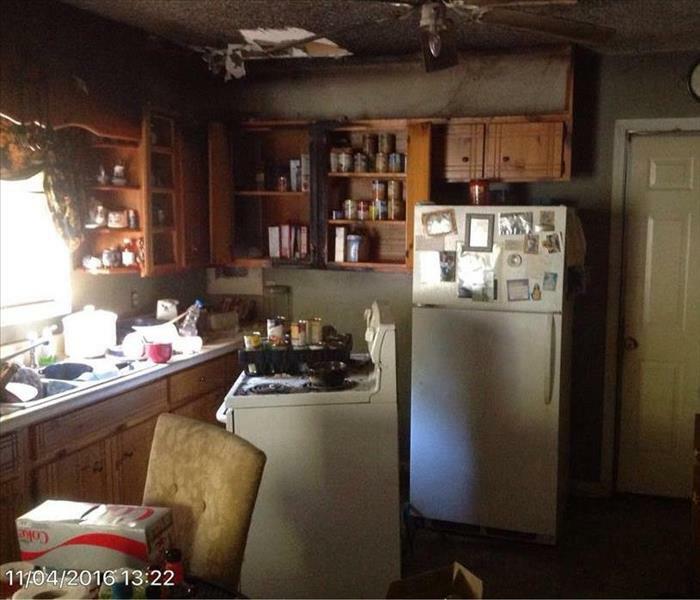 We are on call 24/7 to make sure your fire loss can be made “Like it never even happened.” Call us at 770-258-7557 to put your home back in working order. 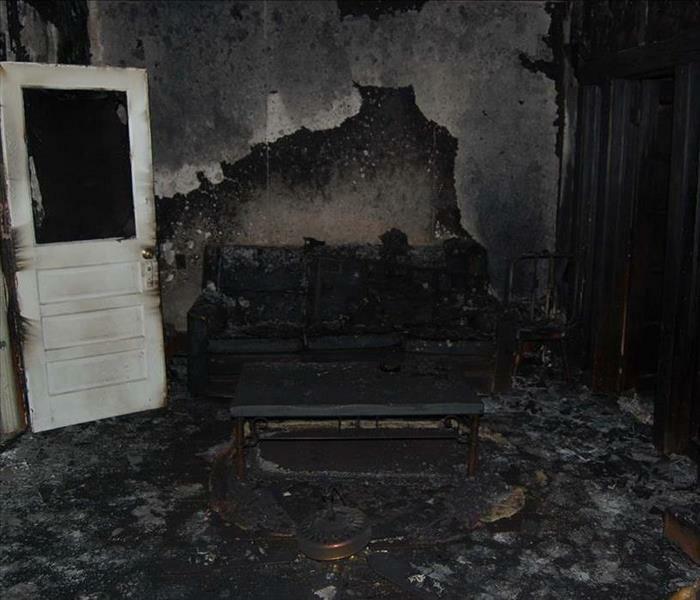 Fire damage can occur in any structure, commercial or residential. 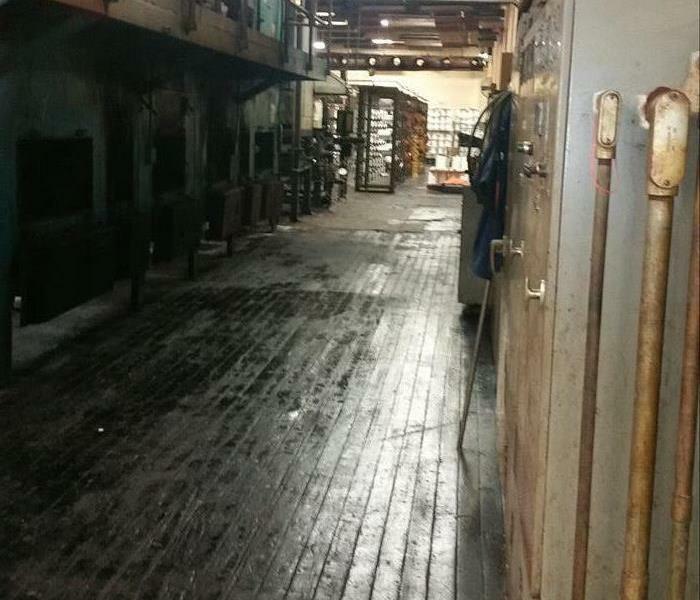 SERVPRO of Carrollton was ready to come in and get this business back up and running following their fire. We are available 24/7 to get your business back in working order. Call us today at 770-258-7557. SERVPRO of Carrollton partners with local vendors to provide services that are needed while on a job site. 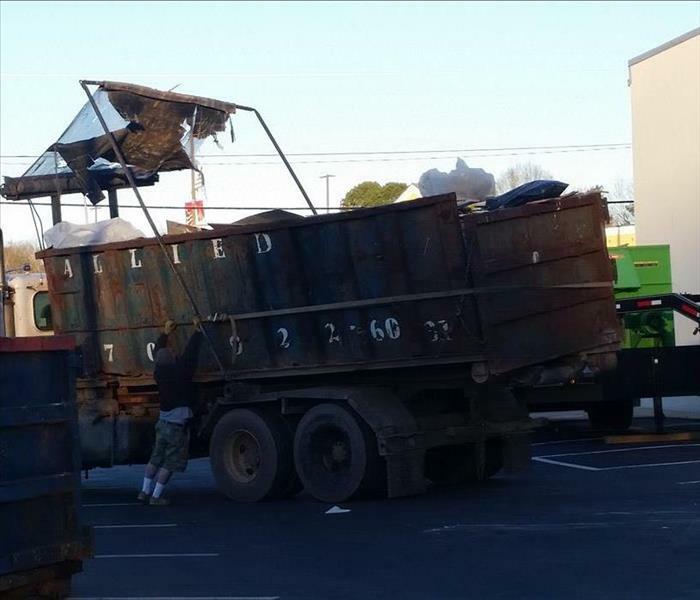 In this picture, SERVPRO of Carrollton partnered with a local company to provide a rolloff dumpster for debris from the work site.